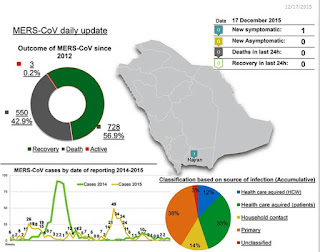 After a couple of very quiet weeks the MOH announced a hospital acquired HCW case yesterday, and is back today with a new primary case, this time in Najran near the Yemen border. `Primary cases’ are those that occur in the community when there is no known exposure to a healthcare facility or to a known human case. Over the past 3 years, roughly 40% of Saudi cases are listed as either `primary’ or as from an undetermined origin. 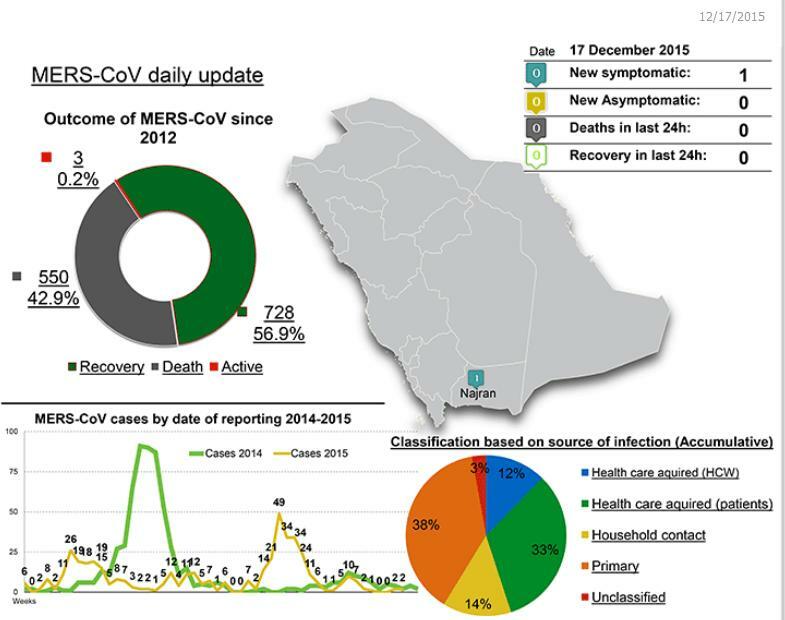 Camel exposure has been assumed to account for some percentage of these cases, but other sources of infection in the community - possibily including asymptomatic cases - are also assumed. Details, as usual, are scant, but this patient is already listed as being in critical condition.